W A T E R F R O N T Property Emphasizing "ONE of-if not "THE" Best Lakefront"/Property (w/Mature TREES ) that one can get! Custom Designed / Built, 2 sty home will provide NEW Owners years of comfort & enjoyment - with all this residence provides. There is NO HOME offering more for such a low price. The square footage includes all finished living space including the 3rd FULL Bath, extra Bedroom/Den/Hobby room & Recreation Room in the FULL Walk-out Finished Basement. Vaulted Ceilings - yet boasting Low Utility costs due to premium Design. All of the Bells and Whistles one would expect AND MORE! 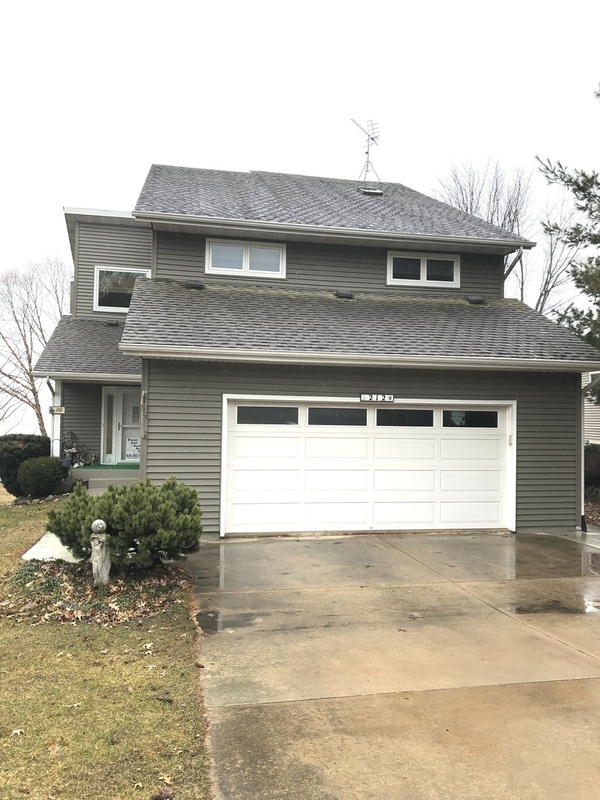 Loads of Storage - 2 Balconies, Maintenance Free Gutters/Soffits/Siding,Concrete Drive - and a YEAR ROUND Picturesque / Panoramic view of the Lakefront. Main level sports Hardwood floors in Liv Rm/Hallways, a Wood Burning capable of heating the home on a few logs.The list goes on - this is a MUST SEE to Truly Appreciate.